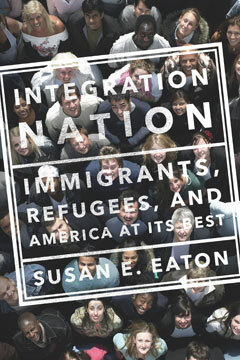 Integration Nation takes readers on a spirited and compelling cross-country journey, introducing us to the people challenging America’s xenophobic impulses by welcoming immigrants and collaborating with the foreign-born as they become integral members of their new communities. In Utah, we meet educators who connect newly arrived Spanish-speaking students and U.S.-born English-speaking students, who share classrooms and learn in two languages. In North Carolina, we visit the nation’s fastest-growing community-development credit union, serving immigrants and U.S.-born depositors and helping to lower borrowing thresholds and crime rates alike. In recent years, politicians in a handful of local communities and states have passed laws and regulations designed to make it easier to deport unauthorized immigrants or to make their lives so unpleasant that they’d just leave. The media’s unrelenting focus on these ultimately self-defeating measures created the false impression that these politicians speak for most of America. They don’t. Integration Nation movingly reminds us that we each have choices to make about how to think and act in the face of the rapid cultural transformation that has reshaped the United States. Giving voice to people who choose integration over exclusion, Integration Nation is a desperately needed road map for a nation still finding its way beyond anti-immigrant hysteria to higher ground.